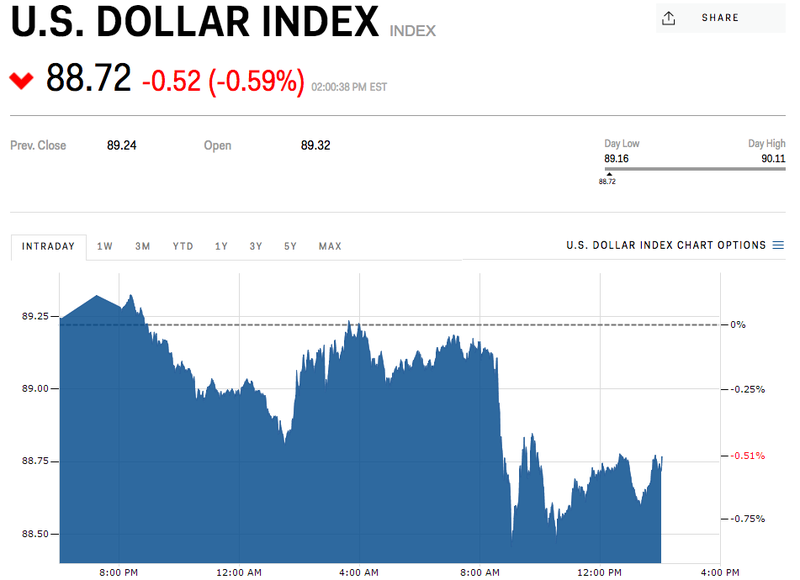 “Ultimately I want to see a strong dollar,” Trump told CNBC. On Wednesday, Mnuchin told reporters at the World Economic Forum in Davos that a weaker dollar was good for the US “as it relates to trade and opportunities.” His comments triggered the dollar’s worst sell-off in 10 months. “Our country is becoming so economically strong again and strong in other ways, too,” Trump said.